Avendus advises Manugraph India Limited on its acquisition of Dauphin Graphic Machines, Inc. for USD 19.2 Million. Manugraph India Ltd, India’s largest manufacturer of web offset printing machines today announced that it is acquiring ‘Dauphin Graphic Machines Inc’ (DGM), a leading manufacturer of Web Offset Printing Machines based in Pennsylvania, U.S. Manugraph & DGM together will now form the world’s largest single width press manufacturing company. 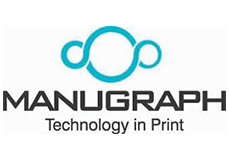 The combined entities will continue to maintain their manufacturing and assembling operations in three facilities - two in India, and one in the U.S. Post acquisition, Manugraph will offer a full fledged product range to all its customers. Avendus Advisors was the sole advisor to Manugraph for the deal. Mr. Sanat Shah, Chairman, Manugraph India Ltd. said, “We are extremely excited about this proposition and upon completion of this acquisition, we will not only be the pioneers in the web offset press business in India, but will also become the largest manufacturers of single width press in the world. We are already offering our services globally and look forward to further expand our business reach”. Manugraph is acquiring DGM, a profit making company with a current annual turnover of around US$ 70 million, for a cash consideration of US$ 19.2 Million. Manugraph’s annual turnover of Rs.320 Crores in Financial Year 2006 will be propelled to an expected consolidated turnover of Rs.750 Crores in the Financial Year 2008 as a result of this acquisition. “Our goal of becoming global leaders in the manufacture of single width presses is being achieved. We have already invested heavily in state-of-the-art facilities, machining capabilities and engineering resources. With DGM, we now look forward to launch a new range of products globally”, further added Mr. Sanat Shah. Manugraph India Ltd., India’s largest manufacturer of Newspaper Web Offset Printing Presses, is a world leader in the 4-page web-offset printing segment. Manugraph manufacturing base is at Kolhapur, an industrial city about 250 miles south of Mumbai. The Company has two ultra-modern manufacturing plants with a workforce deployment of 1,200 people. A strong manufacturing set-up in a sprawling 32 acres of land and having the latest CNC machines and computer aided design, engineering and drafting facilities is committed towards supplying high quality, high reliability and high performance machines to the customers worldwide. For more information, please visit: www.manugraph.com . About Dauphin Graphic Machines, Inc.
Dauphin Graphic Machines (DGM) was founded in 1973. Its main manufacturing facility in Elizabethville, Pennsylvania was opened in 1980.Today, with over 200 employees - including 45 field services technicians, DGM has become a global single width force in the newspaper and commercial printing industries. Its modern and efficient manufacturing space houses a complete parts and service organization, as well as state of the art software and design equipment. DGM estimates their U.S./Canadian market share of the single-wide, one-around press market to be roughly 60 percent.